Weekend update on the Kavanaugh confirmation circus…. I’m not sure that there is a slimier swamp rat than Valerie Jarrett, possibly her boss, Barack Hussein, maybe Hitlery, but it’s close. Jarrett actually believes, or at least pretends to, that the Republicans are “bullying” Christine Ford for inviting her to testify before the Senate Judiciary Committee to tell her flimsy non-story. I guess Jarrett doesn’t understand that without Ford’s testimony, there is no case. This is nothing more than a steaming pile of unsubstantiated nonsense. Grassley should proceed posthaste with the confirmation vote as scheduled. You are a filthy swamp rat! We the People are sick of you invoking the name of "the American people." Liberals have never been concerned with what is right or for the American people, who you despise. Here's hoping there is a cage in your future, where all swamp rats belong. 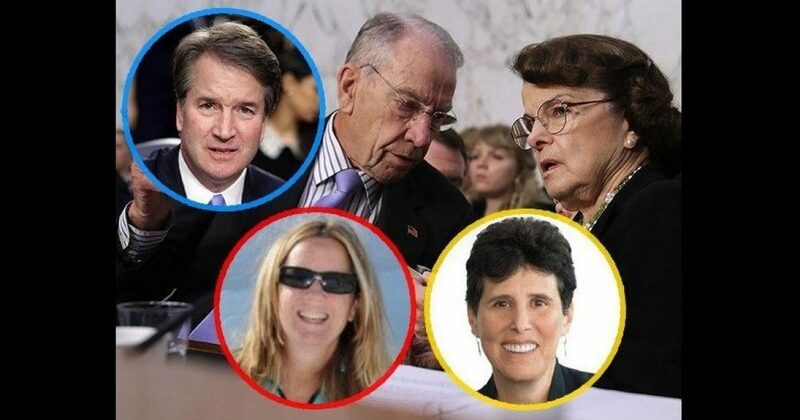 Kavanaugh has been very anxious to testify before the Senate Committee…. Christine Ford, not so much. She and her attorneys have made a list of impossible demands/conditions to her testifying before the Committee, including the following…. Ford submitted a list of people Ford wants subpoenaed. No outside counsel allowed to question her, only senators. Then, of course, there is the matter of the letter from Ford accusing Kavanaugh of sexual assault. 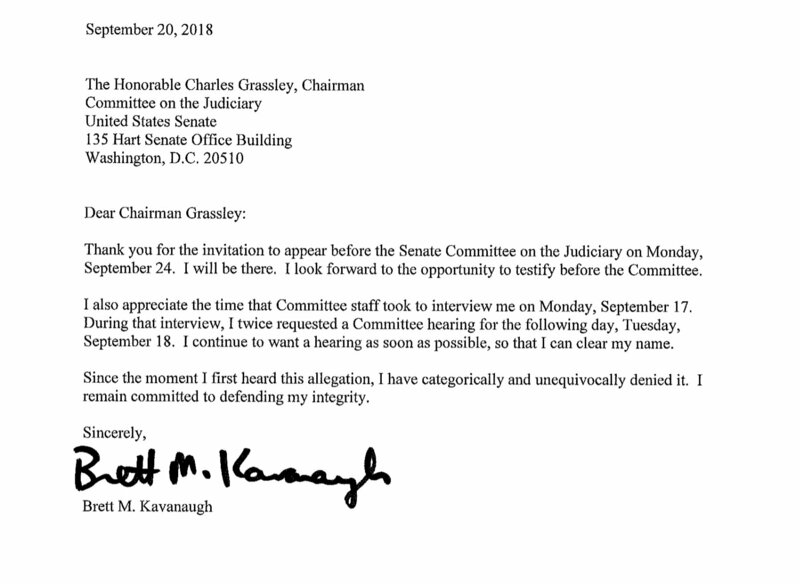 Thus far, despite repeated demands by Grassley, Feinstein has refused to turn over the letter, which obviously contains something, possibly exculpatory, that the Democrats don’t want to be seen. Or, more likely, they know there is no case here, and are simply stalling for time, trying to keep Kavanaugh off the bench pending the midterm elections, hoping for a very unlikely Democrat takeover of the Senate. Whata'ya, stupid? This isn't "a single letter." This is "THE letter" by Ford accusing teenager Kavanaugh. Without this letter, there is no case. Grassley should give Feinstein 24 hours to produce the unredacted letter, then move on to the confirmation vote if he doesn't get it. So, no matter how you look at this, the Democrats are on the thinnest of thin ice and continue to hang their hopes on an unsubstantiated story from 36 years ago, using it to stall Kavanaugh’s confirmation. In related news, I believe Mrs. McConnell has injected some much-needed testosterone into her Mitch, who has become surprisingly assertive of late, even combative, essentially suggesting Democrats pound sand, that no matter their obstruction, Kavanaugh’s confirmation will happen and very soon. Likewise, Lindsey Graham. What got into these guys? It seems that since Songbird McCain began poisoning the earth around Annapolis and Trump-hating Rinos like Jeff the Flake and Bob Corker don’t dare embarrass themselves by running for reelection in Trump country, what few Rinos remain are sprinting to the right and are finally supporting their president, which is very good to see and bodes well for 2020.